as an important ally in a turbulent Mideast." (AP) AMMAN- Jordanâ€™s government spokesman warned on Thursday of â€œcatastrophicâ€� repercussions if President-elect Donald Trump makes good on a campaign promise to move the US Embassy in Israel to Jerusalem. Such a move could affect relations between the US and regional allies, including Jordan, Information Minister Mohammed Momani told The Associated Press, addressing the issue publicly for the first time. Trumpâ€™s choice for US ambassador in Israel, David Friedman, has said he looks forward to working from Jerusalem. The Palestinians want to establish the capital of a future state, and various UN resolutions have negated or ignored Jewish history in the city. Jerusalem as Israelâ€™s official capital." The House of Representatives overwhelmingly approved a bipartisan measure objecting to last monthâ€™s anti-Israel United Nations Security Council Resolution 2334 on Thursday, garnering 342-80 votes in favor of House Resolution 11. Despite strong bipartisan support for the measure, at least 75 Democrats and four Republicans voted against it; many of the opposing Democrats accused Republicans of introducing HR 11 to attack Obama unfairly in the last two weeks of his presidency. While, in theory, HR 11 is a strong verbal condemnation of the UNâ€™s anti-Israel resolution, it does nothing to punish the UN for its repeated attacks on Israel in practice. The bill, for example, does not call for defunding the UN and appears, instead, to be more symbolic than anything else. "Cruz also slammed the outgoing Obama administrationâ€™s moves against Israel at the United Nations, accusing lame duck President Barack Obama and Secretary of State John Kerry of â€œincredible animosity for Israel.â€� He said that Obama, Kerry, and Vice President Joe Biden had taken a â€œdisgracefulâ€� parting shot at Israel. In response, Cruz said, he expected Congress to pass legislation reaffirming its earlier commitment to move the U.S. embassy in Israel to Jerusalem. He also reported that he had introduced legislation to cut funds to the Palestinian Authority, and that he and Sen. Lindsey Graham (R-SC) had introduced a bill to cut off funds to the United Nations until it rescinded UN Security Council Resolution 2334. UNSC Res 2334 declared Israelâ€™s entire presence in the West Bank â€” which many Israelis call Judea and Samaria, and which Israel controlled after a defensive war in 1967 â€” illegal, including the Jewish Quarter of Jerusalem and Jewish religious and historical sites where Jews had lived for millennia." ... an act of war? Al-Aqsa imam and Supreme Muslim Council Head Sheikh Ekrima Sa'id Sabri attacked in his weekly sermon in Al-Aqsa US President-elect Donald Trump after Trump promised to move the US Embassy from Tel Aviv to Jerusalem. According to Maor Tzemach's translation of the Arab news site Palestine Information Center, in his sermon on Friday, Sabri said "moving the US Embassy from Tel Aviv to occupied Jerusalem is a statement and a declaration of war against Arabs and Muslims." Tzemach is chairman of the 'Lach Yerushalayim' organization, which seeks to apply Israeli sovereignty in all parts of Jerusalem. to Jerusalem is a equivalent to declaring Jerusalem as the capital of Israel. Sabri also called on all Muslims in Judea, Samaria, and Jerusalem to act, saying, "We are used to saying Al-Aqsa is in danger, but now the danger is real! Recently, the occupation has added an additional hour for Jewish visitors to the Temple Mount, without the agreement of the Waqf. This decision will add to the number of hours we are being attacked, and allow additional attackers on the Temple Mount." an appropriate building in Jerusalem to house the US Embassy. inhumane dirty deeds ... 72 countries ... but NO Israel? TEL AVIV â€“ In a shameful display of rogue diplomacy, 72 countries â€“ minus Israel â€“ are set to attend a Middle East â€œpeaceâ€� conference in Paris on Sunday widely expected to set the parameters for a future Palestinian state. Fresh from his 70-minute speech two weeks ago largely singling out Israel for condemnation, lame-duck Secretary of State John Kerry will represent the U.S. at the Mideast confab. There, Kerry is slated to represent the Obama administration in crafting a â€œconsensusâ€� document on an Israeli-Palestinian deal. This after a U.S. abstention last month allowed the passage of a United Nations Security Council Resolution calling the West Bank and eastern Jerusalem â€œoccupied Palestinian territories,â€� and demanding a halt to Israeli construction in those areas. Some of the holiest sites in Judaism are located in eastern Jerusalem and the West Bank, including the Western Wall and Temple Mount in Jerusalemâ€™s Old City; the Cave of the Patriarchs and Matriarchs in Hebron, which was home to the oldest continuous Jewish community in the world until the Jews of Hebron were massacred and expelled; the Tomb of Rachel in Bethlehem; and Josephâ€™s Tomb in Nablus â€“ biblical Shechem. signal to the incoming American president. French President Francois Hollande signaled to US President-elect Donald Trump on Sunday that a two-state solution for Israelis and Palestinians is the only solution. Paris has warned him that plans to move the US Embassy to Jerusalem could derail peace efforts. Some 70 countries, including key European and Arab states as well as the permanent members of the UN Security Council, gathered in Paris in the presence of US State Secretary John Kerry and the European Union's foreign policy chief Federica Mogherini, among others. Hollande said in his opening speech that the summit was "... a warning ... Because the two-state solution, the one upon which the international community agreed, and this for several years, appears threatened." A draft communique seen by Reuters reaffirms existing international resolutions urges both sides to restate their commitment to the two-state solution and disavow officials who reject it. The communique asks the protagonists to "refrain from unilateral steps that prejudge the outcome of final status negotiations". all be canceled out and are already erased in heaven,â€� he said. Rabbi Nir Ben Artzi, who has a dedicated following in Israel, made several other stunning predictions. On Friday, Abbas told Le Figaro the Palestinians might revoke their recognition of Israel: If the embassy transfer takes place, â€œthere would be several options for us, and we would discuss them with Arab countries,â€� Abbas said. â€œReversing our recognition of the State of Israel is one of them. But we hope that it doesnâ€™t reach that point, and that, on the contrary, we will be able to work with the next American administration,â€� he added. Abbas has written to Trump warning of the risks of such a move and asked him to reconsider, while also flagging the concern to Arab and other world leaders, said the Palestinian foreign minister, Riyad Malki. Trump also repeatedly promised during the campaign that he would move the embassy. While past presidents Bill Clinton and George W. Bush also vowed on the trail to do so, neither fulfilled that promise once they assumed the responsibilities of conducting Americaâ€™s foreign policy. of the French-Jewish umbrella organization CRIF. PARIS â€“ Hundreds of Jews demonstrated outside the Israeli Embassy here Sunday against the Paris peace summit being held about four kilometers away at the French Foreign Ministry. â€œWe are here today to express our objection to the Paris Middle East Conference, which we consider as an anti-Israeli tribunal, similar to the negative decisions adopted by UNESCO and the UNSC,â€� Francis Kalifat, president of the French Jewish umbrella organization CRIF, told The Jerusalem Post. French Jews, Kalifat said, are disappointed by the French leadership, which refuses to accept the fact that true peace should and could be achieved only through direct negotiations. â€œFrance must realize that one cannot make statements and take such decisions five days before a new administration takes office in the US,â€� he said. The British government has signalled its determination to stay close to Donald Trumpâ€™s administration by refusing to send a high-level delegation to the Middle East peace conference organised by the French government. Neither a Foreign Office minister, nor the UK ambassador to France, will be attending the meeting on Sunday. Most large EU countries have sent their foreign minister, and the British approach may hint at future UK policy choices. The French regard the conference as a vital chance to reaffirm the case for a negotiated two-state solution between the Israelis and Palestinians. Trumpâ€™s transition team reportedly told French diplomats they disapproved of the conference going ahead, seeing it as an attempt to put unfair pressure on Israel and give an unjustified reward to the Palestinians. The British government likely fears that the conference risks becoming a means to circumscribe future US policy on Israel before the Trump team has decided this. US President-elect Donald Trump told the Israel Hayom Hebrew-language daily that he intends to go through with his pledge to move the US Embassy to Jerusalem, saying that â€œclearly I did not forgetâ€� the promise made on the campaign trail. by the paper on Thursday morning. On Wednesday, at his farewell press conference, President Barack Obama warned that unilateral actions can be â€œexplosive,â€� in apparent reference to Trumpâ€™s talk of moving the embassy. "... Congress is 'engaged' and we are looking at the various sites (in Jerusalem) ..."
JERUSALEM â€“ Speaking from Jerusalem in a Breitbart News exclusive interview, Congressman Ron DeSantis (R-FL) said he believes President Trump will announce the relocation of the U.S. embassy from Tel Aviv to Jerusalem before the end of May. DeSantis, chairman of the subcommittee for National Security for the House Oversight Committee, was is Israel as part of a small delegation on a fact-finding tour to study the possibility of relocating the U.S. Embassy to Jerusalem. â€œIt has been, is, and shall remain the capital of Israel." Christian leaders representing 60 million members of the faith across America have sent President Trump a letter asking him to move the U.S. Embassy in Israel from Tel Aviv to the countryâ€™s capital, Jerusalem. Trump is scheduled to become the first incumbent U.S. president to visit the Western Wall in the Old City of Jerusalem next week. Heâ€™ll also visit Masada and Bethlehem, officials have announced. â€œJerusalem is the eternal and undivided capital of Israel. King David established Jerusalem as the capital of Israel 3,000 years ago,â€� said Mat Staver, chairman of Liberty Counsel and president of Christians in Defense of Israel. "To not recognize Jerusalem as the capital of Israel contradicts the Bible, history and present-day reality. Refusal to recognize Jerusalem is anti-Semitic. Itâ€™s time for the United States to move the embassy to Jerusalem, and the presidentâ€™s visit to Israel would be an ideal time for him to make that announcement,â€� he said. President Trump signed a waiver Thursday that delayed moving the U.S. embassy in Israel from Tel Aviv to Jerusalem. He was required to make a decision by Friday because a six-month waiver signed by President Obama was set to expire. Trump signed the same waiver that every has president has signed twice a year since 1995 when a law was passed requiring the embassy to be located in Jerusalem. It will expire in six months, when the president will be faced with the decision of moving the embassy again. that Trump still plans to move the embassy, but it is now a question of when. ... is Nikki Haley starting to kick some @ss? Nikki Haley, U.S. ambassador to the United Nations, has penned a blistering op-ed targeting the controversial U.N. Human Rights Council. She uses her toughest language yet and slams the body as a â€œhaven for dictatorsâ€� ahead of a visit to its headquarters in Switzerland next week. â€œWhen the worldâ€™s preeminent human rights body is turned into a haven for dictators, the idea of international cooperation in support of human dignity is discredited,â€� she says in an op-ed for the Washington Post, published Friday. Haley is due to address the Council in Geneva on June 6â€“the first-ever address to the Council by a U.S. Permanent Representativeâ€“before she then travels to Israel, where she will meet with Prime Minister Benjamin Netanyahu and visit a number of Israeli historical sites. The visit to Switzerland is likely to be a tense one. The Trump administration has reportedly contemplated an exit from the Council over its anti-Israel bias and its questionable membership, which includes countries such as Cuba, Venezuela, and Saudi Arabia. A Senate subcommittee met last month to assess if the U.S. should remain a member of the body. â€œWhen the council passes more than 70 resolutions against Israel, a country with a strong human rights record, and just seven resolutions against Iran, a country with an abysmal human rights record, you know something is seriously wrong,â€� she says. Someone must have had a sit down with her because this does seem a bit out of form for her. Maybe she had a come to Jesus moment? actually stands up to the UN [email protected]@rds. The United States is turning up the heat on the United Nations over its longstanding and well-known bias against Israel with confirmation from Ambassador Nikki Haley that a review is underway of Americaâ€™s participation in the U.N. Human Rights Council. The U.N. has been under pressure from the U.S. to reform itself since President Trumpâ€™s election, after years of concerted bias against Israel, the leading advocate for democracy in the Middle East and a key U.S. partner with. WND reported in April a letter to the U.N., signed by all 100 U.S. senators in rare unanimity, demanded the global body change its behavior toward Israel. deliver her highly-anticipated remarks ..."
She said it was 'hard to accept' five resolutions had been passed against Israel, a US ally, while none were considered against Venezuela, which is in the grips of bloody protests over the rule of its president Nicolas Maduro. Her one-day appearance at a 'side event' in Geneva today was anticipated to be the standout event of the three-week session due to the US's reputation as a key human-rights defender - and single largest donor to the UN. The U.S. Senate, in an extremely rare moment of action without any opposition, has adopted a resolution calling on President Trump to abide by a 1995 law that calls for the U.S. Embassy to be in Jerusalem. The vote actually was 90-0, with Sens. Michael Bennet of Colorado, Cory Booker of New Jersey, Tammy Duckworth of Illinois, Jeff Flake of Arizona, Bob Menendez of New Jersey, Jeff Merkley of Oregon, Lisa Murkowski of Alaska, Dan Sullivan of Alaska, Thom Tillis of North Carolina, and Pat Toomey of Pennsylvania â€“â€“ an assortment of both Republicans and Democrats â€“â€“ not voting. While the Jerusalem Embassy Act of 1995 calls for the move to Jerusalem, which would be seen worldwide as a resounding affirmation of Israelâ€™s link to, presence in and responsibility for Jerusalem, it also provides for six-month waivers that presidents could use if they felt that politically they should not make the move. That waiver has been used by both Democrats and Republicans ever since, including President Trump just days ago. However, at the time he renewed his commitment to moving the Embassy, he just said it would happen right now. A United Nations body ruled Friday that an ancient Jewish holy site is now part of Palestinian heritage. The United Nations Educational, Scientific and Cultural Organization (UNESCO) voted to make the Tomb of the Patriarchs and the Old City of Hebron Palestinian heritage sites, despite intense push-back from Israel and the United States. Twelve member states voted in favor of the resolution, which the Palestinians initially put forward, while only three were against it. UNESCOâ€™s decision sparked a fiery response from Israeli leaders, who feel the organization is being used as a political tool in the ongoing conflict between Israel and the Palestinians. The resolution claimed that Hebronâ€™s Old City and the Tomb of the Patriarchs are Palestinian heritage sites, despite hundreds of years of Jewish tradition associated with the areas that predates both the modern Palestinian territories and the Islamic faith. Jewish tradition claims that Abraham, Sarah, Isaac, Rebecca, Jacob and Leah, are buried at the site. All six are considered the Patriarchs and Matriarchs of the Jewish faith. The tomb is located in Hebron, in the southwest corner of the West Bank. to recognize Jerusalem as Israelâ€™s capital ..."
The Arab League chief said on Sunday a decision by US President Donald Trump to recognize Jerusalem as Israelâ€™s capital would boost fanaticism and violence, and not serve the Israeli-Palestinian peace process. Trumpâ€™s son-in-law and Middle East peace envoy Jared Kushner told the Saban Forum on Sunday the president is close to a decision on whether to recognize Jerusalem as Israelâ€™s capital but has yet to make up his mind. â€œIt is unfortunate that some are insisting on carrying out this step without any regard to the dangers it carries to the stability of the Middle East and the whole world,â€� Ahmed Abul Gheit, head of the Arab League, told reporters in Cairo on Sunday. â€œNothing justifies this actâ€¦ it will not serve peace or stability, instead it will nourish fanaticism and violence,â€� Abul Gheit said. He added that the Arab League is closely following the issue and is in contact with the Palestinian authorities and Arab states to coordinate the Arab position if Trump takes the step. Palestinian Authority President Mahmoud Abbas echoed the sentiment, warning the White House earlier on Sunday that the move would jeopardize the administrationâ€™s nascent peace efforts in the Mideast. â€œAny American step related to the recognition of Jerusalem as capital of Israel, or moving the US Embassy to Jerusalem, represents a threat to the future of the peace process and is unacceptable for the Palestinians, Arabs and internationally,â€� Abbas told a group of visiting Arab lawmakers from Israel, according to the official Wafa news agency. Declaring Jerusalem as Israelâ€™s capital would be a highly controversial move, with the potential to spark unrest in the Middle East. The Wall Street Journal reported that US officials were contacting embassies in the region warning them to prepare for the possibility of violent protests. 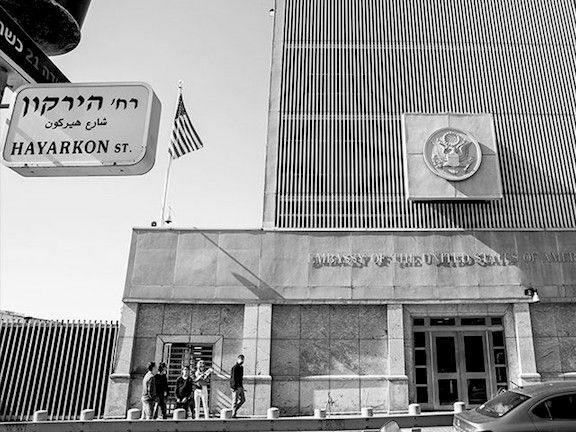 A 1995 law requires the relocation of the US Embassy in Israel to Jerusalem, but provides the president with the prerogative to postpone the move every six months on national security grounds. The Times of Israel reports: US National Security Adviser H.R. McMaster said Sunday that he did not know whether President Donald Trump would decide to relocate his countryâ€™s embassy from Tel Aviv to Jerusalem. â€œIâ€™m not sure what decision heâ€™ll make. Weâ€™ve given him options,â€� McMaster told Fox News. â€œThere are options involving the move of an embassy at some point in the future, which I think, you know, could be used to gain momentum toward a â€” toward a peace agreement, and a solution that works both for Israelis and for Palestinians,â€� McMaster added. Trump has until Monday to decide whether to once again sign a waiver delaying a move of the US embassy from Tel Aviv to Jerusalem. On Wednesday, according to the American news site Axios, Trump will give a speech recognizing Jerusalem as Israelâ€™s capital. The White House has not confirmed this. ... Jerusalem the CAPITAL of ISRAEL? Whood-a-thunk-it! U.S. President Donald Trump told Palestinian President Mahmoud Abbas and Jordan's King Abdullah that he plans to move the U.S. Embassy in Israel from Tel Aviv to Jerusalem on Tuesday, according to Abbas' spokesman and Jordanian reports. Trump also called Prime Minister Benjamin Netanyahu and Egyptian President Abdel-Fattah al-Sissi to inform him of the decision. Senior U.S. officials have said Trump is likely on Wednesday to recognize Jerusalem as Israel's capital while delaying relocating the embassy from Tel Aviv for another six months, though he is expected to order his aides to begin planning such a move immediately. The officials said, however, that no final decisions have been made. Following the call, Abbas urged the Pope and the leaders of Russia, France and Jordan to intervene against Trump's declared intention to move the U.S. Embassy in Israel to Jerusalem, Abbas's spokesman said. During the call with Trump, Abbas warned that the action will have "dangerous consequences," said Abbas' spokesman, adding that "the Palestinian stance is determined and steadfast - there will not be a Palestinian state without East Jerusalem as its capital according to decisions by the international community." Abbas was holding an emergency meeting in his bureau following the phone conversation with Trump. Abdullah also warned Trump of the decision's repercussions on Middle East security and stability. Abdullah pledged he would thwart any American initiative to renew the peace process and would encourage resistance among Muslims and Christians alike. President Donald Trump announced Wednesday in a televised address from the White House that the United States officially recognizes the city of Jerusalem as the capital of Israel, and will begin moving its embassy there. He also said that the U.S. would finally move the U.S. embassy to Jerusalem in accordance with the Jerusalem Embassy Act of 1995, and would make it a monument to peace. â€œThe United States remains deeply committed to helping facilitate a peace agreement that is acceptable to both sides,â€� he said. â€œI intend to do everything in my power to help forge such an agreement.â€� He added that the U.S. would support a two-state solution if agreed to by both sides. Israelis celebrated President Donald Trumpâ€™s decision Wednesday to recognize Jerusalem as their capital city and to begin to move the U.S. embassy there. 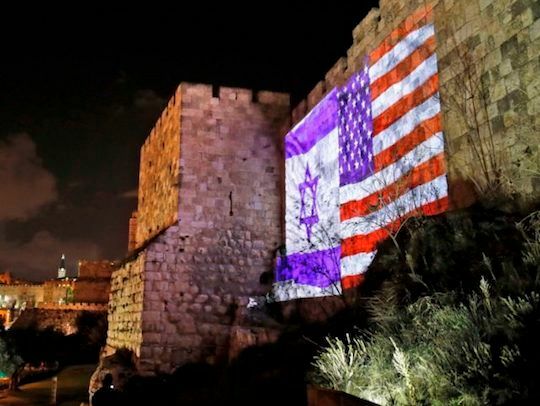 In Jerusalem itself, the walls of the Old City were illuminated with the Israeli and American flags. The city also hung American flags prominently, and decorated a bridge at the entrance to the city in American colors. Prime Minster Benajamin Netanyahu thanked the United States in an address in English, and followed with an address in Hebrew, recalling the history of Jerusalem as the capital of the Jewish people. â€œGenerations upon generations, wept and dreamed of Jerusalem,â€� he said, thanking President Trump for fulfilling their dream. The UN Security Council will meet on Friday in an emergency session to discuss the decision by US President Donald Trump to recognize Jerusalem as Israelâ€™s capital, the councilâ€™s leadership announced Wednesday. The talks â€” requested by eight nations â€” will begin at 10:00 a.m. (1500 GMT), but there are other items on the agenda, so the Jerusalem issue may not come up until the late morning, said Japan, which holds the councilâ€™s rotating presidency. Bolivia, Britain, Egypt, France, Italy, Senegal, Sweden and Uruguay requested the talks. They have also asked UN Secretary-General Antonio Guterres to open the meeting with remarks. After Trumpâ€™s announcement, Guterres said Jerusalemâ€™s final status could only be resolved through direct negotiations between Israel and the Palestinians. â€œItâ€™s a threat not just to the peace process, but also itâ€™s a threat to international peace and security,â€� said the envoy. 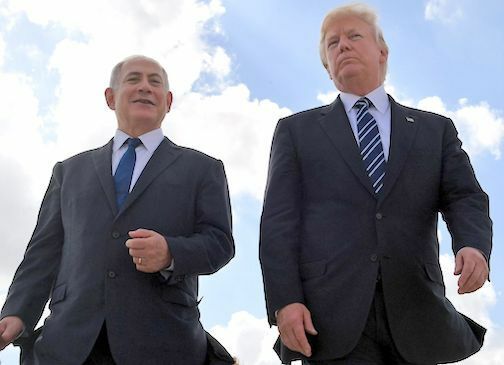 Although welcomed by Israeli Prime Minister Benjamin Netanyahu as a â€œcourageous and just decision,â€� Trumpâ€™s move left many angry US allies struggling to find a measured response â€” and hoping that the tinderbox region is not destined for yet another round of bloodletting. Palestinian Authority President Mahmoud Abbas lambasted the â€œdeplorable and unacceptableâ€� move and said it signified Americaâ€™s withdrawal as a sponsor of the peace process. Muslim and Arab nations also fumed. Turkey called the decision â€œirresponsibleâ€� and illegal. Iran said it would â€œprovoke Muslims and inflame a new intifada.â€� Israelâ€™s neighbors Jordan and Egypt both warned the decision violated international law and agreements, and could have highly negative consequences. JERUSALEM â€“ The head of a Fatah womenâ€™s committee for Palestinian universities called â€œSisters of Dalalâ€� â€“ named after the terrorist Dalal Mughrabi, who was behind the deaths of 38 Israelis â€“ explained on the Palestinian Authorityâ€™s official TV network that the committee was named as such because Mughrabi was a feminist â€œrole modelâ€� for Palestinian women. Madeline Manna told the host of Palestine This Morning earlier this month that the â€œheroic martyrâ€� Mughrabi was a paragon of female â€œleadershipâ€� who is a source of inspiration for Palestinian women in their ongoing resistance against Israel. Trump and Netanyahu on Trump's visit to Israel in May. The White House is considering presenting President Trump's Middle East peace plan even if the crisis with the Palestinian Authority continues and Palestinian President Abbas refuses to come to the negotiating table, senior U.S. officials tell me. The bottom line: The U.S. officials say the administration won't impose on the Israelis or Palestinians to accept the plan, but may release it so the parties and international community can judge it at face value. The officials said no decisions were made yet in this regard but stressed the president and his "peace team" are not ruling out this option. "Since it's not done, we havenâ€™t decided yet how we are going to put it forward and what happens if one of the sides isn't ready to come to the table. We are not there yet. But we are very optimistic that all relevant countries who want to support a peace agreement between the two sides are still waiting for our plan, want to work with us and realize we cannot be replaced. 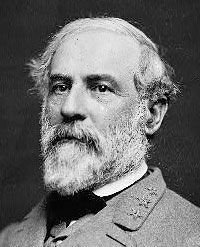 Despite all of the false reports about our plan, we are confident it will be beneficial to both sides and both peoples." ... U.S. special envoy Jason Greenblatt held a series of meetings with Netanyahu, his advisers and several ministers over the last two weeks. Greenblatt also met with opposition leader Hertzog and briefed EU member states representatives in Tel-Aviv and East Jerusalem. He did not meet with any Palestinian officials but met with Palestinian students and private sector executives. position him, and the United States, to make historic progress in the Middle East." .... He may be the most effective presidential Middle East envoy in decades, but he doesnâ€™t get much respect from the press. It is hardly an understatement to say that Jared Kushner, a baby-faced real-estate magnate and presidential son-in-law, didnâ€™t send expectations soaring when he was named to supervise Israel-Palestine peace efforts. .... his frequent visits and stray public remarks reveal a surprisingly sophisticated understanding of the region. Behind the scenes, he is making surprising progress. First, he recognizes that Iran now matters more to the Arabs than Palestine. With Iran and Islamic militants threatening the survival of major Arab states, many Arab leaders have quietly decided to align with Israelâ€”dialing down their interest in the Palestinian drama. Consider that President Trumpâ€™s plan to move the United Statesâ€™ embassy in Israel to Jerusalem did not touch off huge protests in Arab capitals or angry editorials in the Arab press. Kushner was one of the strongest voices inside the White House in favor of the long-promised move. Any other mediator would fret that the move would needlessly complicate his job. Kushner knows that Iran has replaced Palestine as the center of Arab interest, and he spotted an opportunity that few in Washington saw. Second, Kushner realizes that younger Arab generation has a fundamentally different perspective from that of its elders. More than 60 percent of Arabs are too young to remember the 1967 and 1973 wars with Israel, and many more regard them as ancient history. Consider an American equivalent; how many millennials are outraged at the fate of South Vietnam? 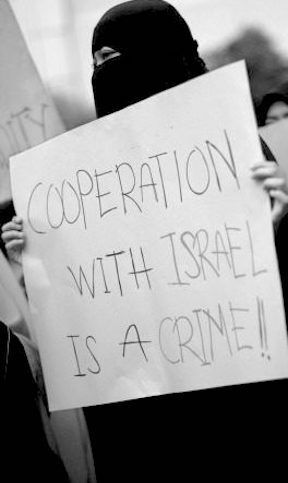 As a result, younger Arabs largely accept Israelâ€™s existence as a settled fact, and generally see trading with its prosperous economy as essential to their own economic growth. I know. I have heard them tell me these things in the privacy of their living rooms. Their septuagenarian leaders do not share their views, and punish younger leaders who try to independently engage with Israelisâ€”which only deepens the divide. International Court of Justice ..."
Senior Palestinian official Saeb Erekat on Saturday accused the Trump administration of trying depose the Palestinian leadership in a â€œcoupâ€� and told the â€œimpudentâ€� US envoy to the United Nations Nikki Haley she should â€œshut upâ€� with her criticism of Palestinian Authority President Mahmoud Abbas. Erekat, who has led the Palestinian peace negotiations and is secretary general of the Palestine Liberation Organization, singled out Haley, who slammed Abbas for a recent speech that was full of anti-Semitic tropes. â€œShe called for overthrowing the democratically elected Palestinian president,â€� Erekat complained in an interview with the Palestinian Al-Watan Voice news website. Israel Carries Out Airstrikes in Egypt, With Cairoâ€™s O.K. The jihadists in Egyptâ€™s Northern Sinai had killed hundreds of soldiers and police officers, pledged allegiance to the Islamic State, briefly seized a major town and begun setting up armed checkpoints to claim territory. In late 2015, they brought down a Russian passenger jet. Egypt appeared unable to stop them, so Israel, alarmed at the threat just over the border, took action. For more than two years, unmarked Israeli drones, helicopters and jets have carried out a covert air campaign, conducting more than 100 airstrikes inside Egypt, frequently more than once a week â€” and all with the approval of President Abdel Fattah el-Sisi. The remarkable cooperation marks a new stage in the evolution of their singularly fraught relationship. Once enemies in three wars, then antagonists in an uneasy peace, Egypt and Israel are now secret allies in a covert war against a common foe. "Behind the scenes, Egyptâ€™s top generals have grown steadily closer to their Israeli counterparts since the signing of the Camp David accords 40 years ago, in 1978." to resign, he would likely face mounting pressure to do so." Jerusalem (AFP) - Israeli Prime Minister Benjamin Netanyahu rejected calls to step down Wednesday after police recommended his indictment for corruption, the biggest challenge yet to the right-wing premier's long tenure in power. Netanyahu again came out swinging on Wednesday morning, harshly criticising the police investigation against him while making clear he has no intention of resigning. His governing coalition, seen as the most right-wing in Israeli history, appears firm for now, but reactions from key members in the coming days will be watched closely for signs of fissures. "I can reassure you that the coalition is stable," Netanyahu said at an event in Tel Aviv. "Neither me nor anyone else has plans for elections. We're going to continue to work together for the good of Israeli citizens until the end of the term." The 68-year-old premier has been questioned seven times by police over the allegations and has called the investigation an attempt by political opponents to force him from office. War criminal will be charged for corruption ?? But who really believe that PM Netanyahu will be arrested ? Yes, Benjamin resign and no charges will be take. and bomb Syrian Arab Army. TEL AVIV â€“ In an ironic twist, Prime Minister Benjamin Netanyahuâ€™s popularity is actually on the rise since the police recommended he be indicted Tuesday, with polls showing that his Likud party would gain an additional seat if elections were to be held now. In addition, about half of all Israelis want the prime minister to leave his position, down 10% from December when 60% of those polled said he should step down if police recommend charges. That is not surprise at all. Israel PM Netanyahu bombed Gaza, bombed Syria ( from occupied Golan heights ), he never officially gave up on bombing Iran...and instead he to be indicted for war crimes - USA rewarded Israel with Jerusalem. The U.S. Embassy in Israel will officially move from Tel Aviv to Jerusalem in May as Israel celebrates its 70th Independence Day, the State Department said Friday. Steven Goldstein, undersecretary of state for public diplomacy, said that Secretary of State Rex Tillerson approved a security plan Thursday evening for â€œa facilityâ€� in Jerusalem. The plan is to open the new facility May 14.
â€œWeâ€™re looking at that as a possible date, but safety of the Marines and other people who visit and work there is primary,â€� said Goldstein. The Palestinian leadership, Fatah and Hamas, claims the Jewish people have falsified their 3,000 year-old history to lay claim to Jerusalem. The holy city, the Palestinians insist, is â€œPalestinianâ€� and must be the capital of a future Palestinian state. "Goldstein, undersecretary of state for public diplomacy". Any American in White House ?